Contents and Media: 389 parts in grey plastic; 26 parts in clear; five black plastic pieces; two frets of photo-etched metal; two self-adhesive metallic name plates; a self-adhesive masking sheet; 16 metal rods; 17 mini-magnets; various screws and bolts; eight poly caps; two decal sheets with markings for three varied schemes. Advantages: Perfectly moulded; accurate; astoundingly detailed with full engine, cockpit, gun bays and wheel wells; vast array of options; positionable undercarriage; includes display stand. Conclusion: This is an outstanding kit. 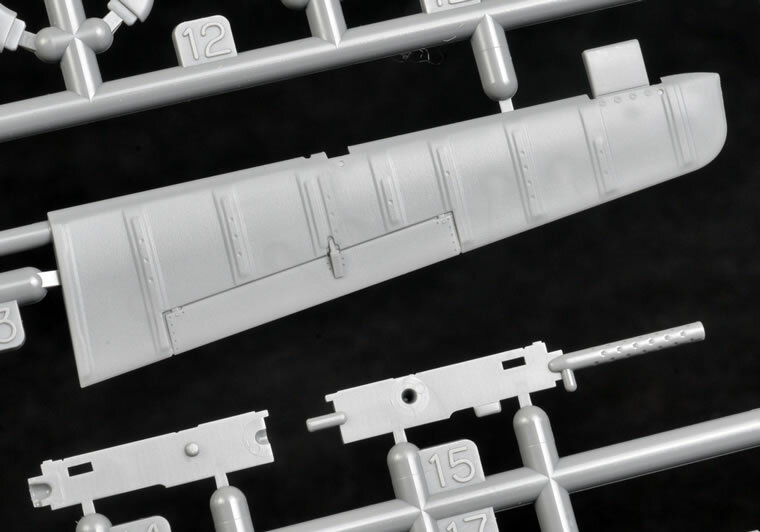 If you have the slightest interest in the P-51 Mustang, Tamiya’s new 1/32 scale kit will be an essential ornament to your modelling shelf. Do yourself a favour and build one soon. 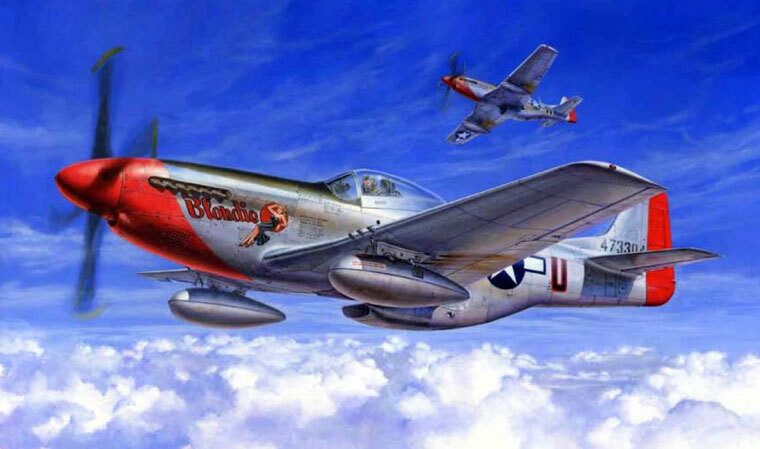 All good things come to those who wait, and Mustang fans have waited a very long time for a good P-51D kit in 1/32 scale. There has been no shortage of contenders. 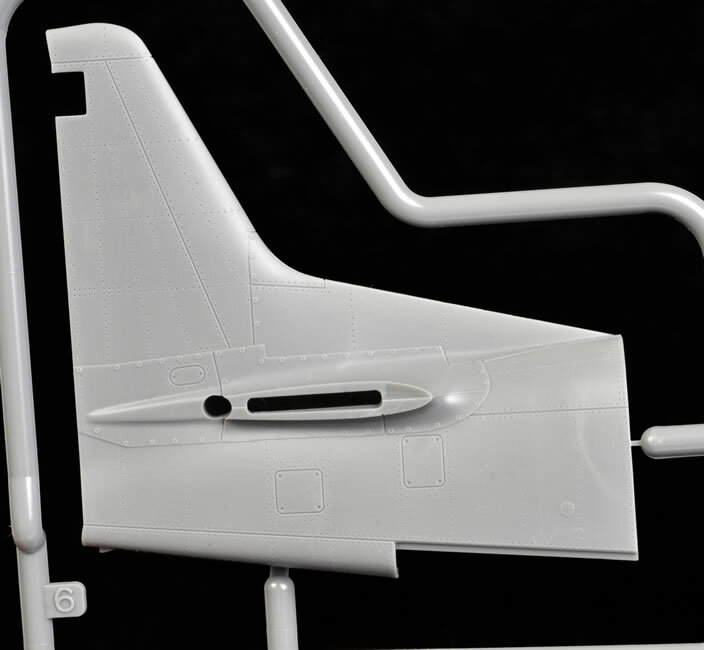 A number of relics from the 1960s and 1970s are still available today, including the 1/32 scale Monogram “Phantom” P-51D/K Mustang and the Hasegawa P-51D. 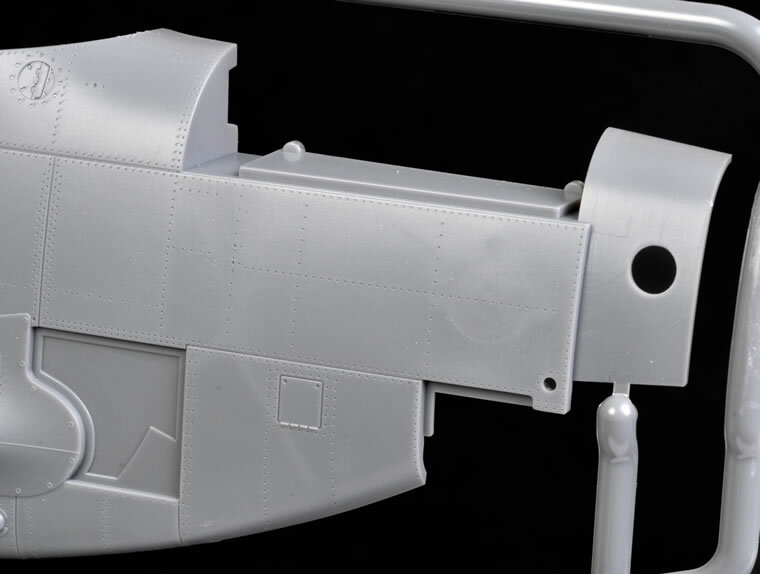 Both Dragon and Trumpeter have made more recent attempts at their own 1/32 scale P-51D kits, but each was plagued with noticeable errors and omissions. 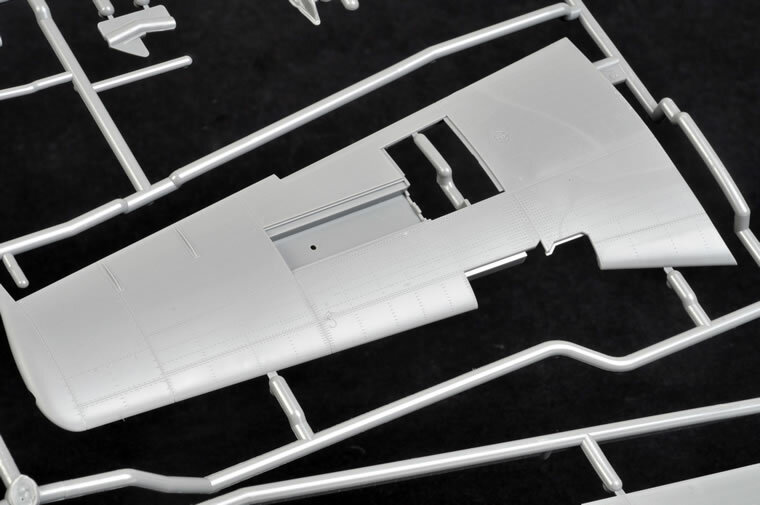 In addition to problems in the cockpit, mirror-image and reversed propeller pitch, incorrect wheel wells and various missing elements, the Dragon kit was uncharacteristically moulded with very heavily rendered surface detail. Trumpeter’s effort was better in some areas but introduced new shortcomings of its own, including a very poorly shaped windscreen. It also suffered from heavily recessed and fairly soft surface detail, and shared the same incorrect wheel well configuration as the Dragon kit. 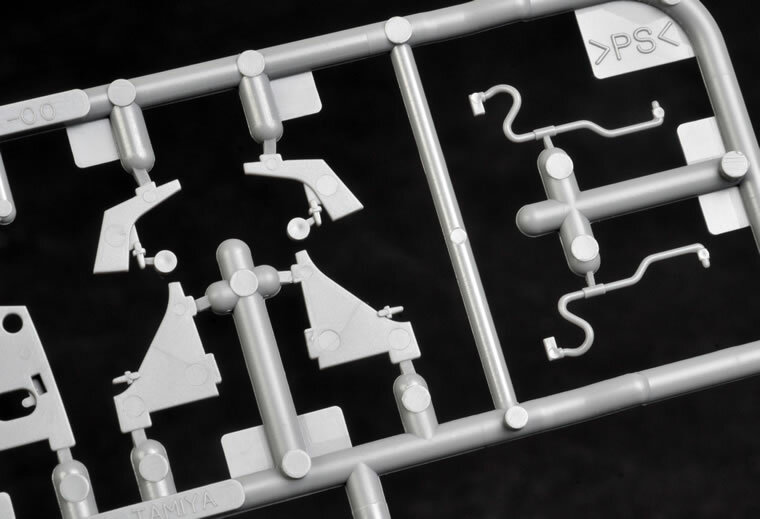 To a certain extent, Tamiya’s recent Spitfire Mk.VIII / IX family was a logical and safe subject choice as there had never been a late Merlin Spitfire released as a mainstream injection moulded kit in 1/32 scale. The crowded Mustang market is another matter altogether. 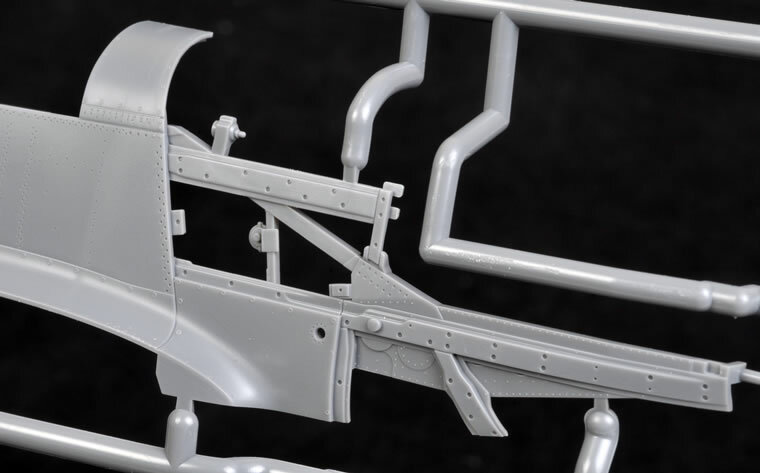 Despite the throng of predecessors, Tamiya obviously decided that modellers finally deserved to have the definitive Mustang kit. They have delivered in spades. 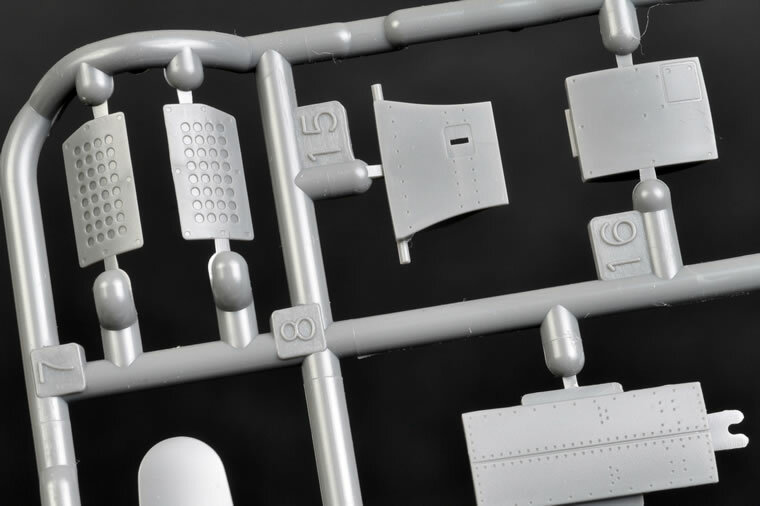 Tamiya’s 1/32 scale P-51D Mustang comprises 389 parts in grey plastic, 26 parts in clear, five black plastic pieces, two frets of photo-etched metal, two self-adhesive metallic name plates, a self-adhesive masking sheet, 16 metal rods, 17 mini-magnets, various screws and bolts, eight poly caps and two decal sheets with markings for three varied schemes. Surface detail is amongst the finest that I have ever seen - in every sense of the word. 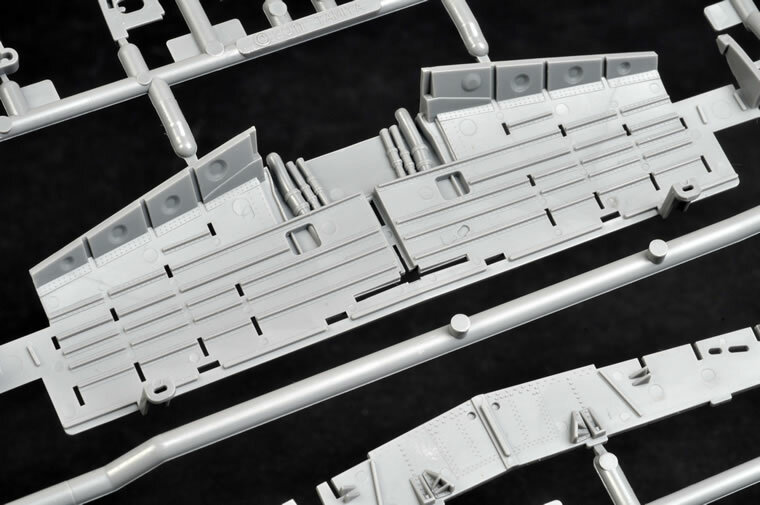 Crisply recessed panel lines are supplemented with rows of extremely restrained rivets. The visibility of the rivets varies depending on the angle and intensity of available light, ranging from subtly noticeable to almost imperceptible. 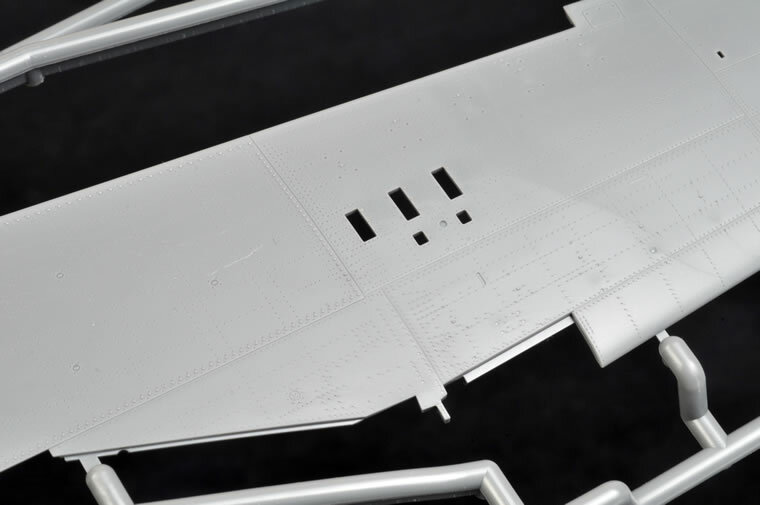 The rivet detail is depicted on all the main surfaces including the wings. 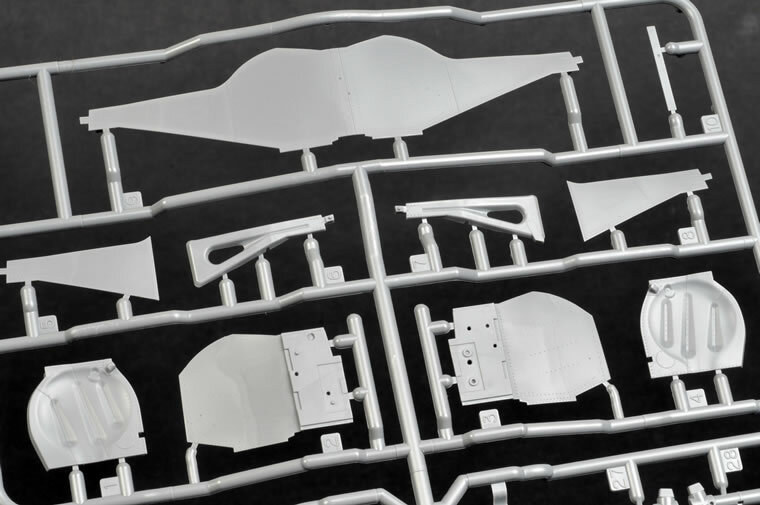 Tamiya has chosen to depict the wings straight off the production lines, without the puttying and sanding that often smoothed the surface before entering service. 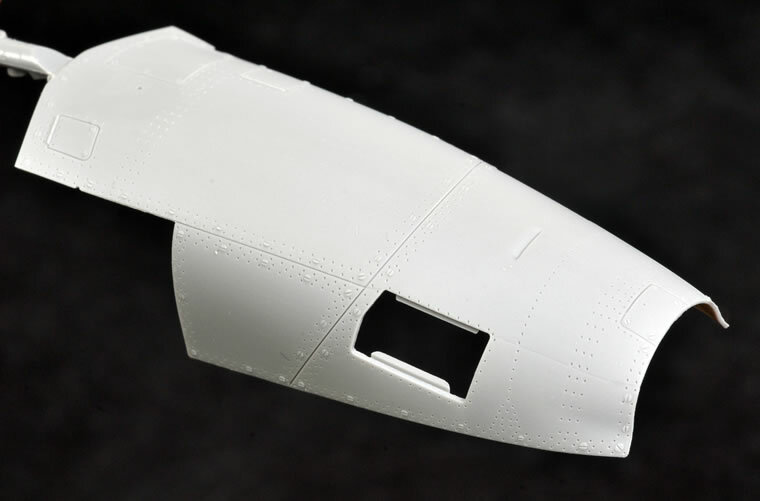 This will make life easier for those who want to model a subject that did not have filled wings, and the surface detail is so delicate that it will suffice for most modellers anyway. 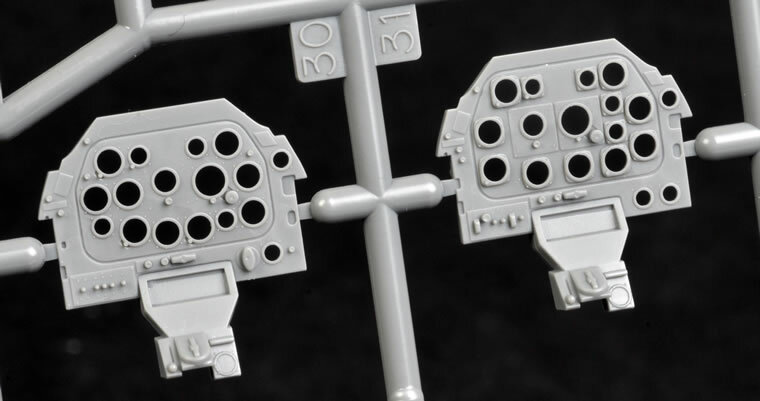 For those who want to go the extra mile and represent filled wings, the rivets are very shallow so they will easily be hidden under a sanded coat of Tamiya or Gunze Surfacer. 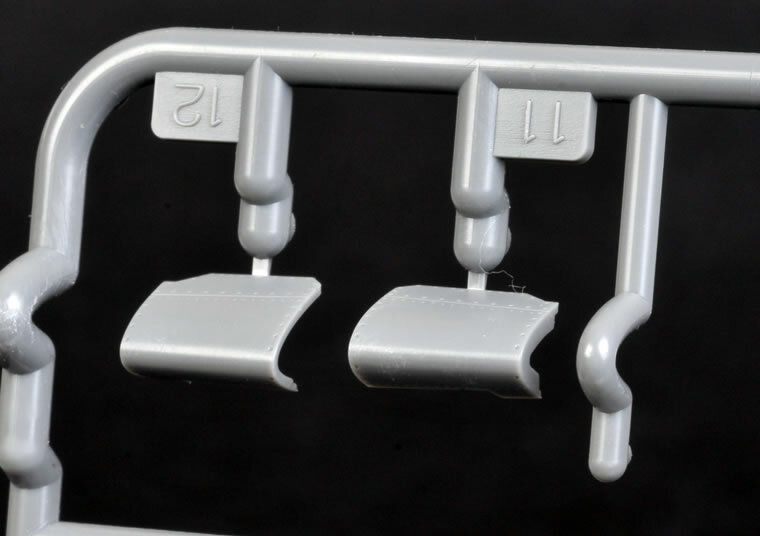 Other raised detail is also depicted where appropriate, including gorgeous fasteners with slot head detail. 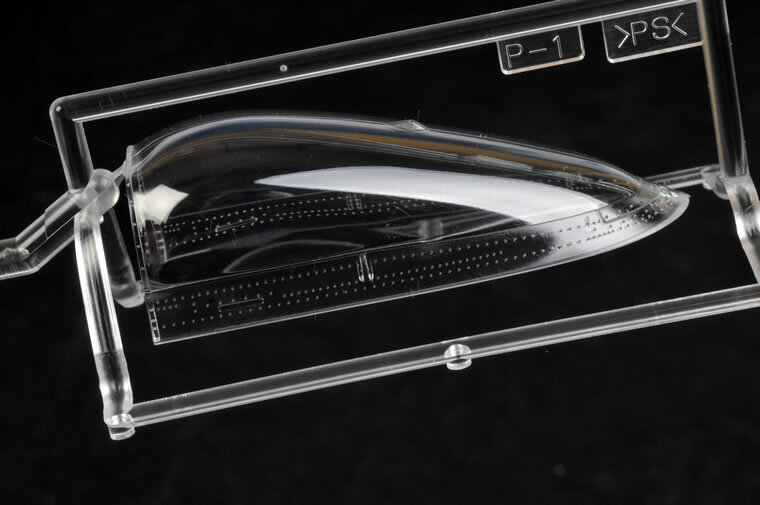 The fuselage halves are each presented in two main parts. 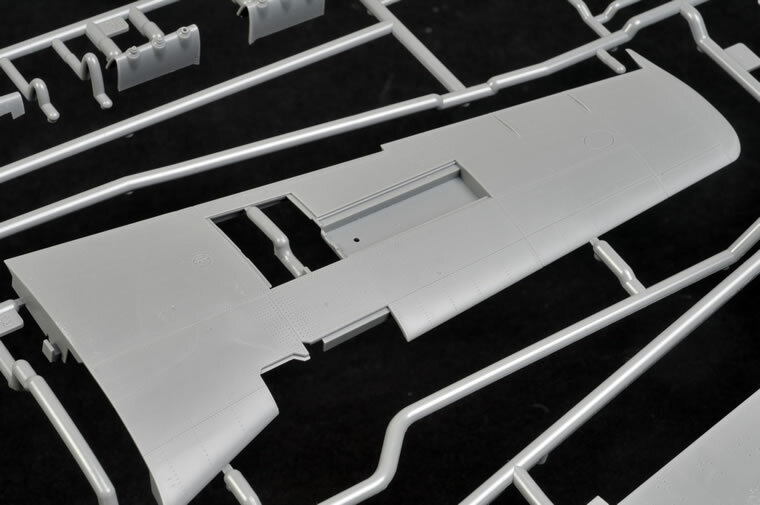 The forward section has the main engine bearers moulded in place. 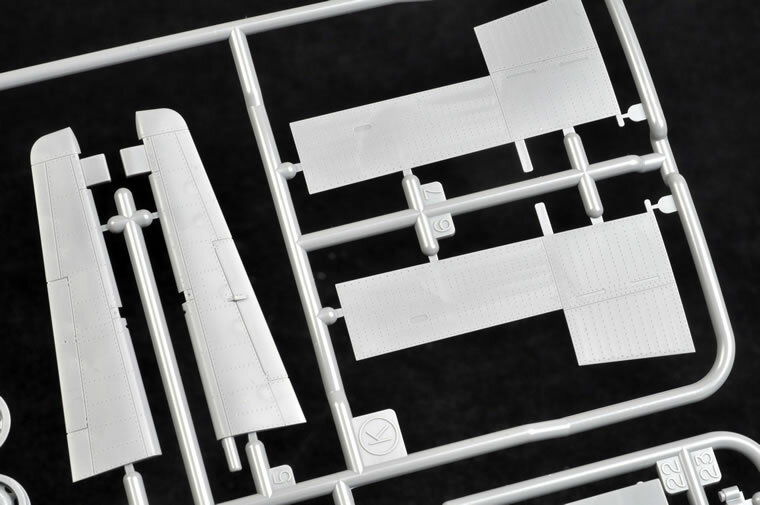 This should be a big help when aligning the thin removable engine cowlings later in the assembly process. 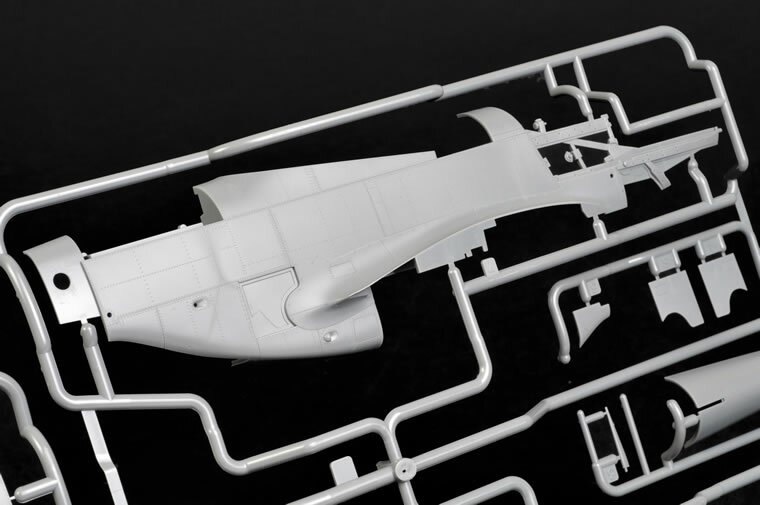 Two options are offered for the rear fuselage parts. One has the later production version with the wedge-shaped fin fillet, while the other is presented without the fillet. 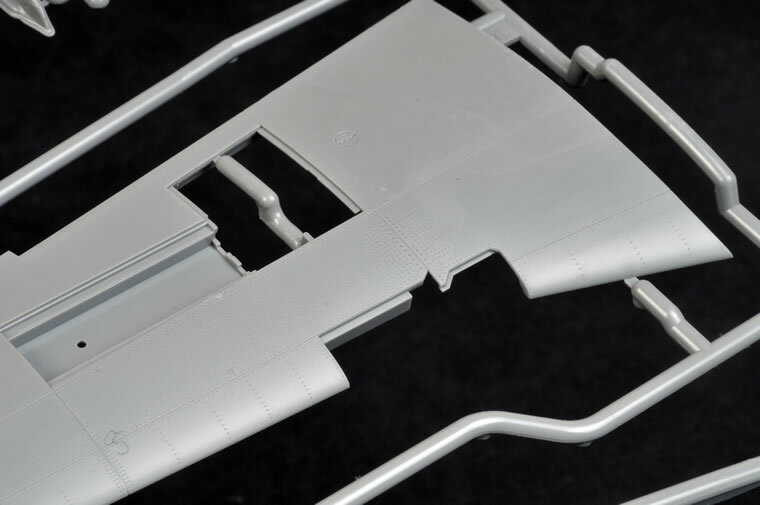 Both optional tail units have an open space for a tail wheel insert. 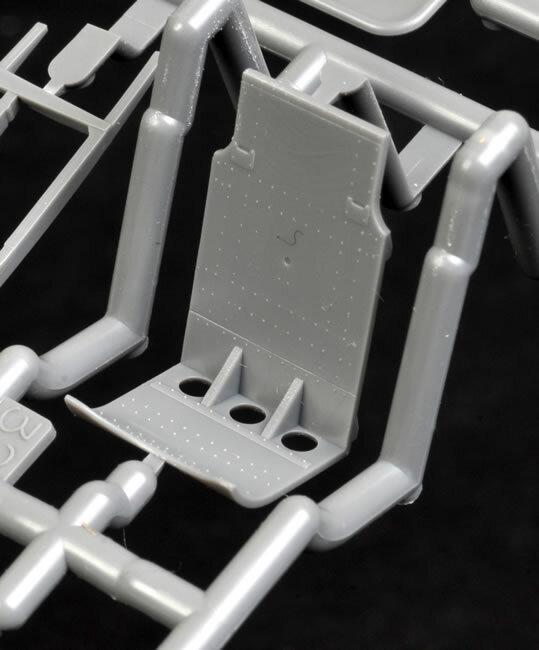 Alternative inserts are provided for the tail wheel up or down. 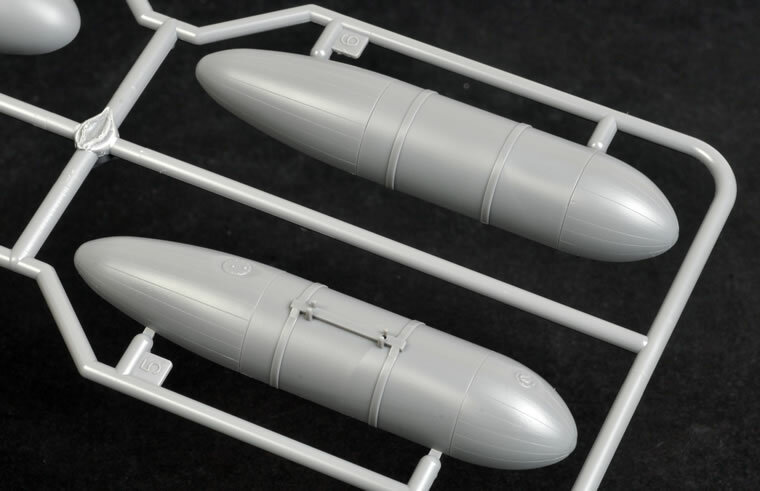 These are held in place with magnets and are interchangeable even after the model is complete. 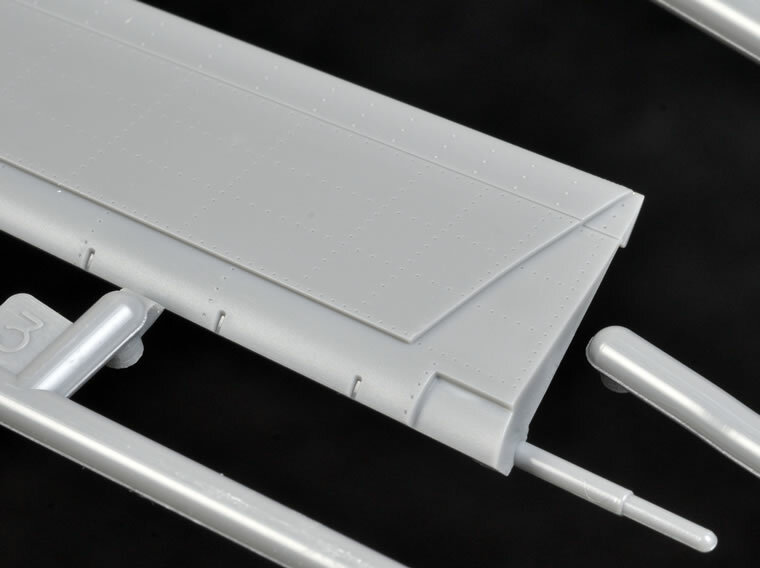 Another couple of innovations have been included in the tail unit. 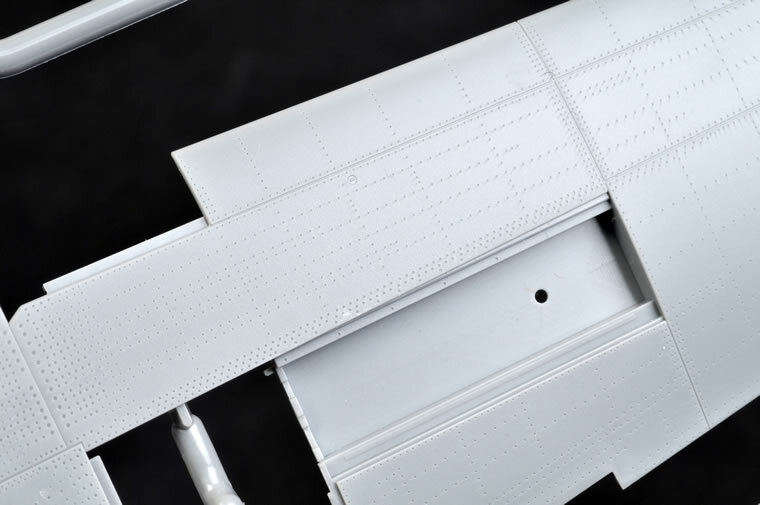 The optional photo-etched AN/APS-13 Tail Warning Radar is trapped between the two tail halves, ensuring a very robust fit and perfect alignment. Also, a polythene cap is installed between the tail halves to secure the moveable elevators. 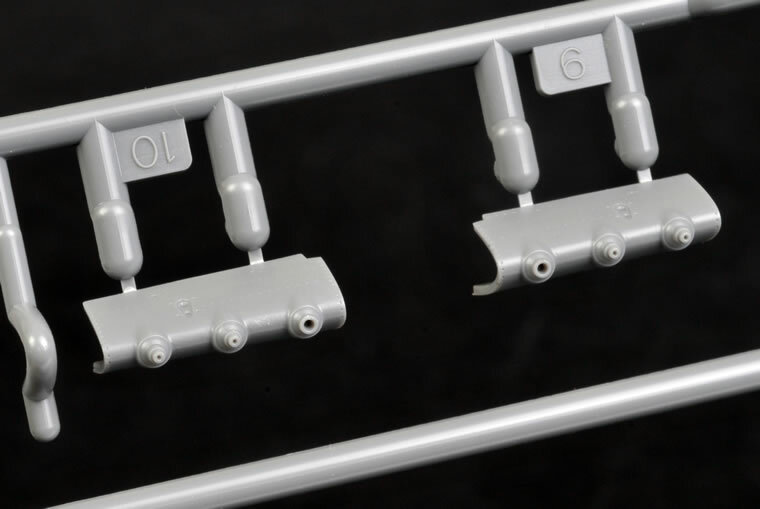 The basic block and cylinder heads of the Packard Merlin engine are the same as we have seen in the Spitfire kits, but there is a world of difference by the time the unique supercharger, intercooler, oil tank, fittings, plumbing and mounts are installed. Once again, the Merlin engine is a beautifully detailed assembly and uncompromising in size thanks to the scale-thin cowlings. 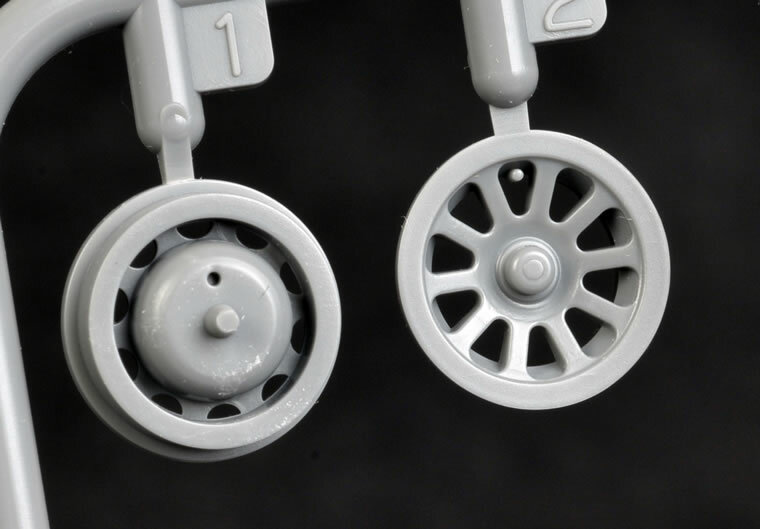 These are held in place with miniature magnets, and may be removed to display the engine. Another nice touch is that two different inserts are provided for the lower cowl part – one with the perforated vents and one blank. Both shrouded and unshrouded exhausts are provided. 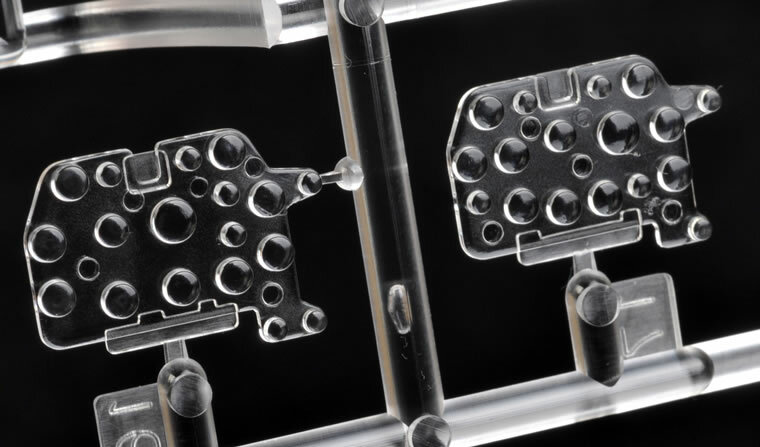 Each individual exhaust stack is hollow at the end and attached to the sprue via the locating tab – there will be no nasty scars on the facing surfaces of these parts. The fit of the stacks to their mounts looks pretty solid too, especially the shrouded exhausts. The cockpit is very complete, offering a number of important optional parts including two styles of instrument panel, three different auxiliary switch panels, two instrument coamings, pressed metal and bolted pilot’s seats, alternate gunsights (each a lovely little assembly in its own right), optional beacon and radar controllers and receivers plus different photo-etched harness straps depending on whether the seated pilot is used or not. 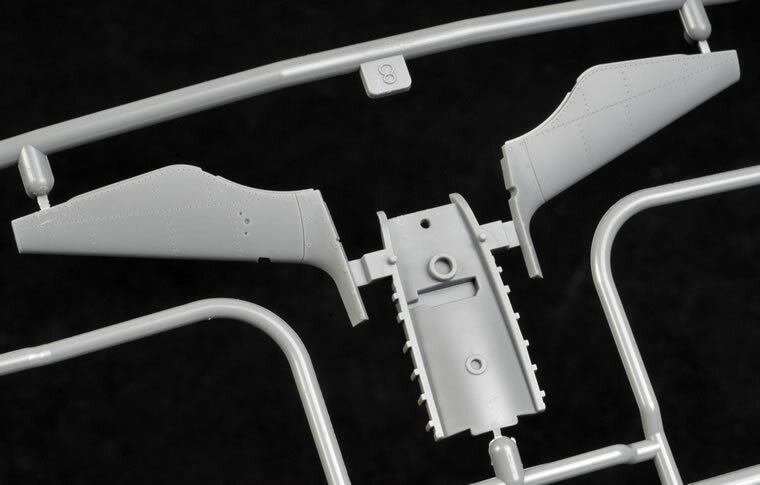 The instrument panel is a sandwich of clear and grey plastic parts, with decals supplied for the dials themselves. 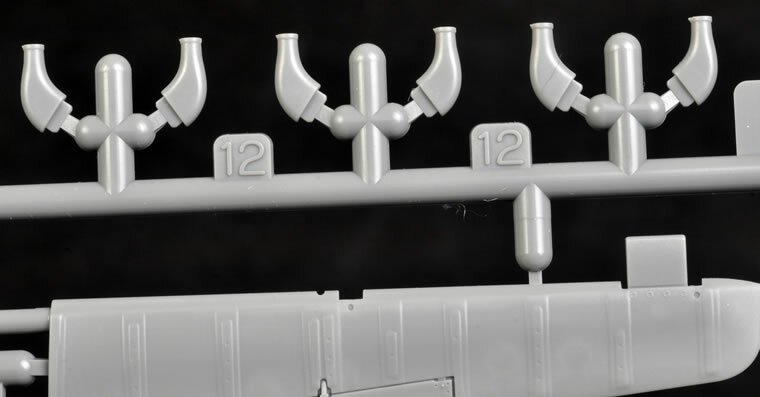 Don’t worry about the apparent lack of detail on the front of the decals. 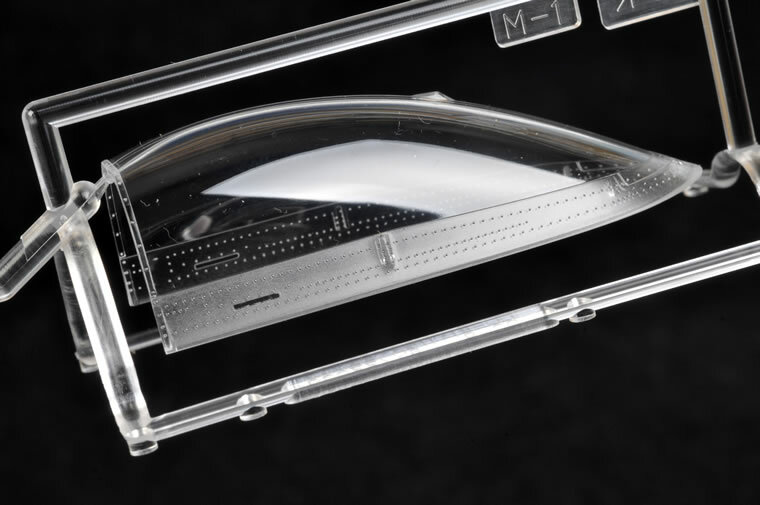 The instrument face detail is actually printed on the back of the decals, which is then viewed through the clear plastic lens. The detail in the front office really is quite remarkable, right down to the provision of two styles of throttle handle. An optional life raft pack (Part Z12 – at least I assume it is a life raft pack) may be attached to the seat if the pilot is not being used. The cockpit also includes a full-length oxygen hose. This needs to be partially cut off if the seated pilot is employed. The radios and fuel tank behind the pilot are equally good. 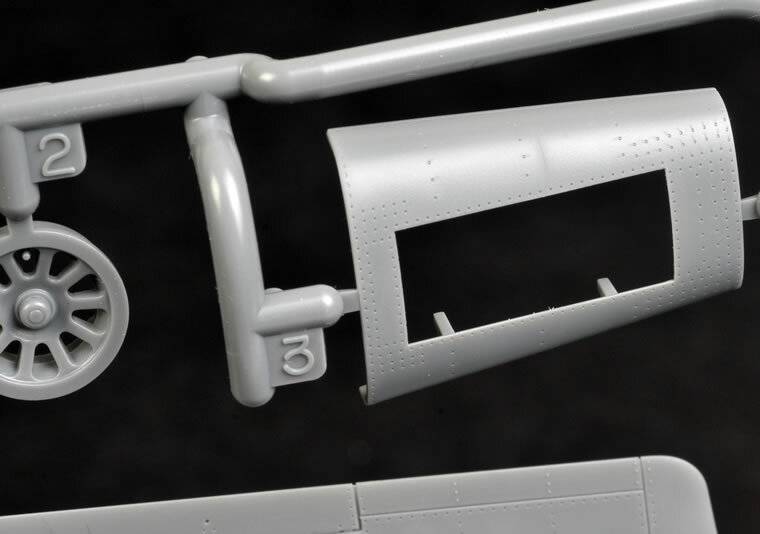 It is pleasing to see that the fuel filler pipe (Part D16) has been included here. It has been a missing link in other Mustang kits. The cockpit is designed around a central core that includes the flat floor, front firewall, instrument panel, pilot’s seat and rear fuel tank. The engine assembly plugs into the front of this cockpit core. 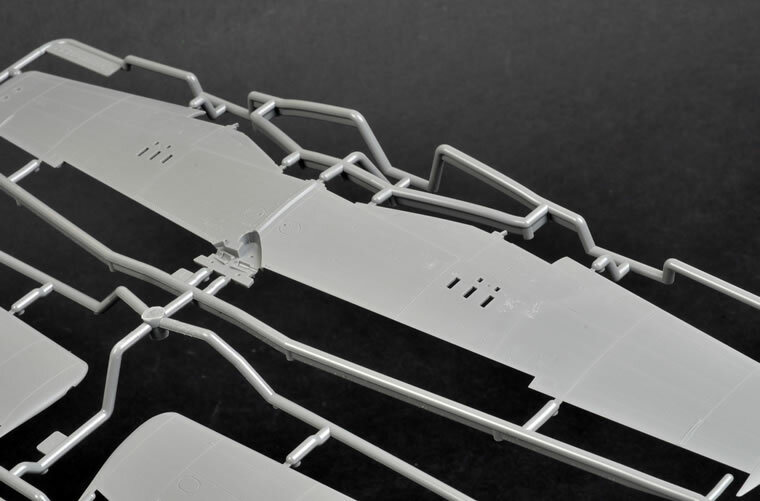 The sidewall detail is attached to a separate frame on each side, which in turn are attached to the fuselage sidewalls. 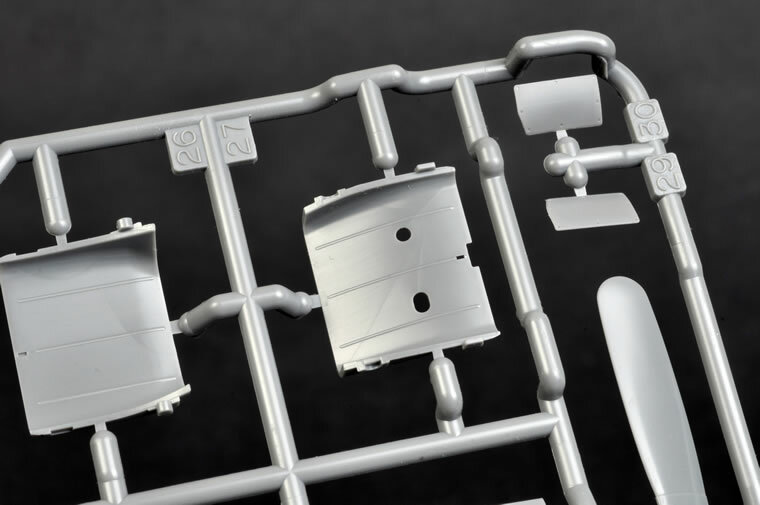 The prominent radiator and oil cooler ducting receives a good deal of attention. 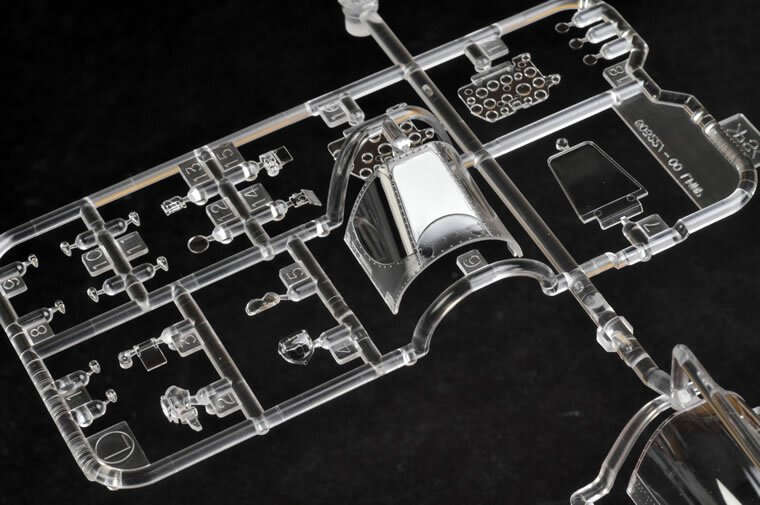 It is made up from both plastic and photo-etched parts. 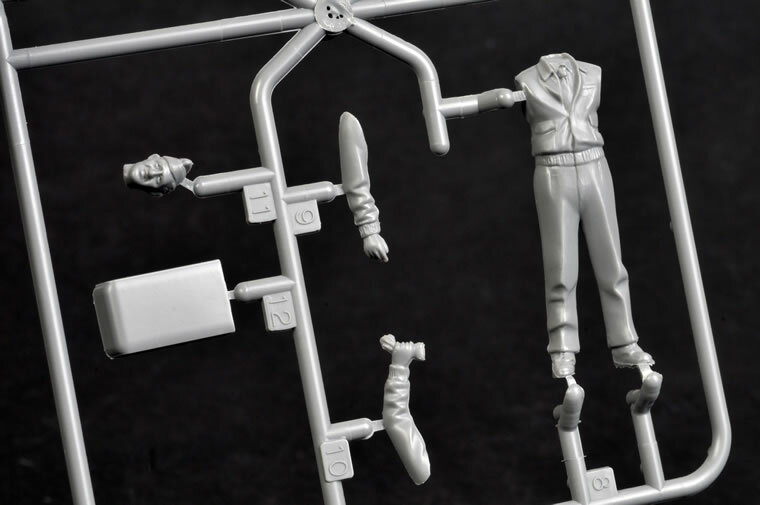 The vents may be moved open and closed after assembly. 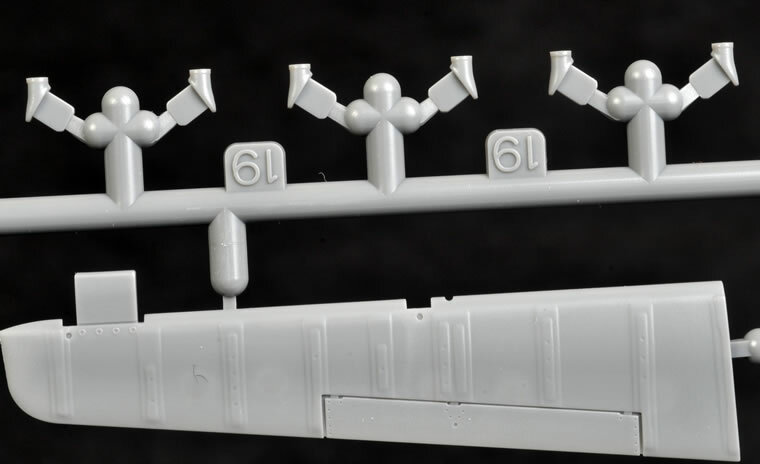 As with the Spitfire, control surfaces are fully moveable thanks to metal rods and photo-etched hinges. Alternative elevators are supplied – one set metal skinned and one set fabric. The fabric strip and stitching texture is beautifully done. 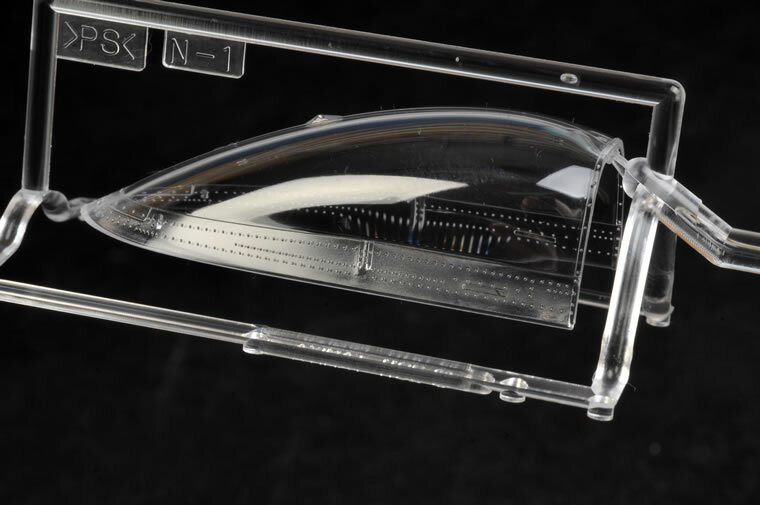 The flaps may also be moved after assembly via metal rods and poly caps, but if you wish to drop the flaps permanently Tamiya has thoughtfully provided a cover to glue over the wedge-shaped recess at the top inboard area of the flaps. 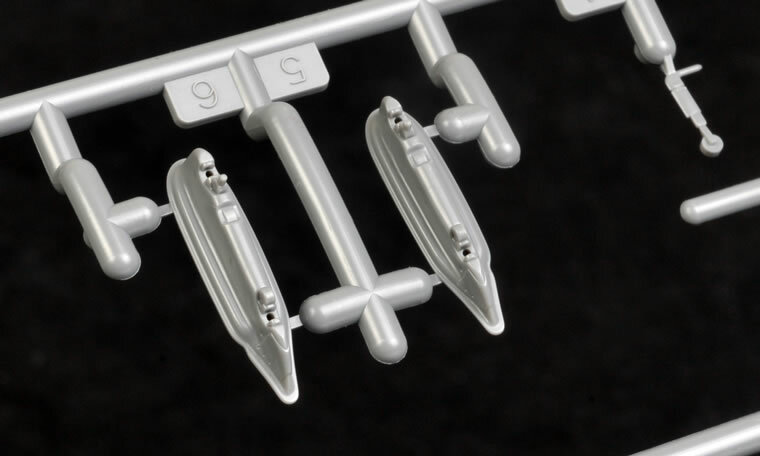 Two different sets of wing tip navigation lights are included. 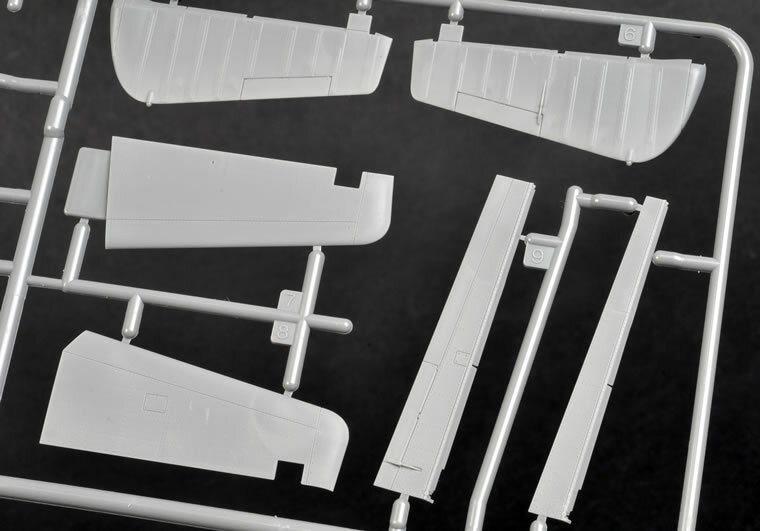 Tamiya has supplied two fully fitted out wing machine gun bays. 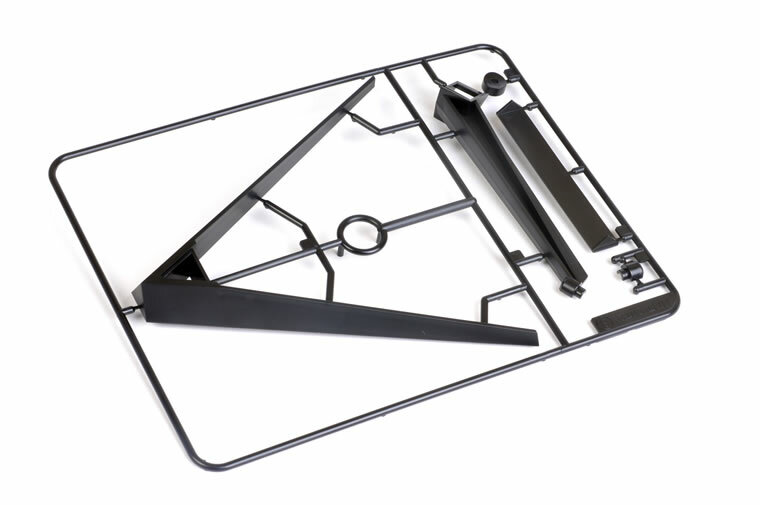 Ammunition trays are also included. The upper access panels are separate parts and may be posed open or closed. 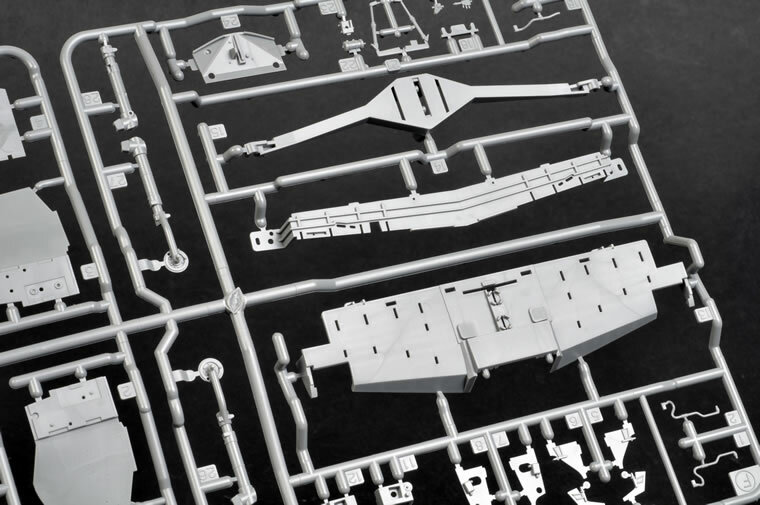 Tamiya has included two full sets of access panels, so you can cut up one set when you want to display the bays, and leave the other intact for when they are closed. Very thoughtful. 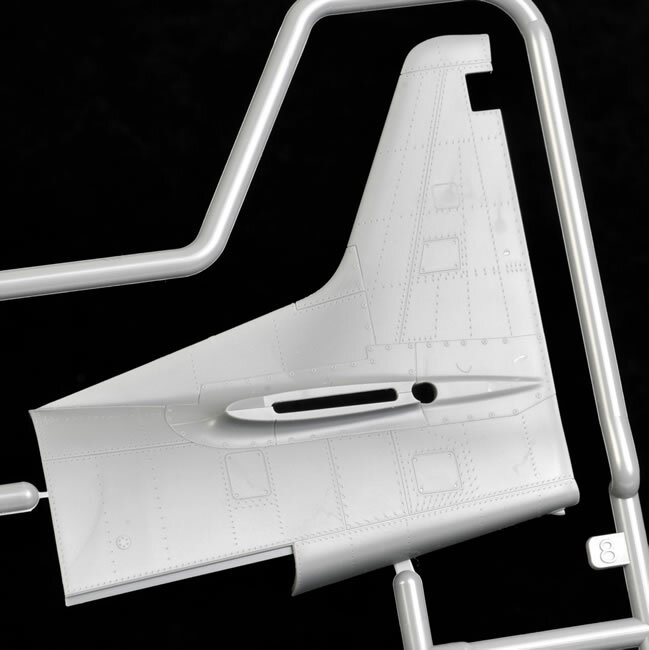 The hollowed-out muzzles and blast tube for each wing are contained in a separate leading edge insert. The main wheel well is made up from 22 parts. 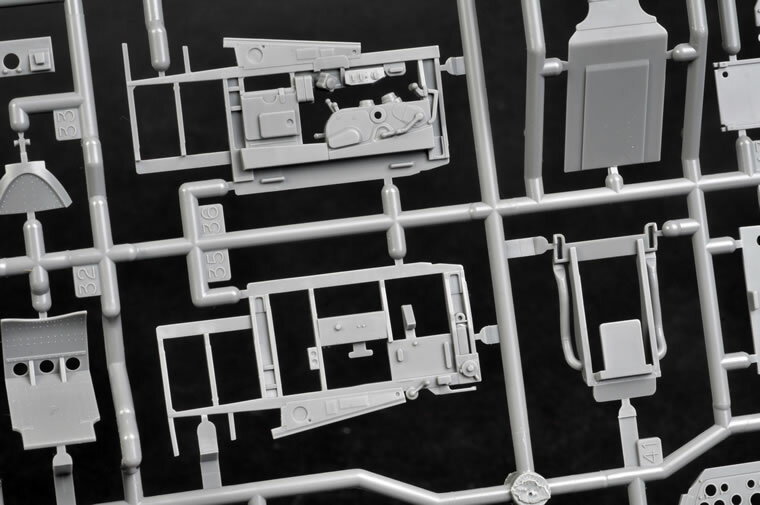 Structural detail inside is stunning but more importantly Tamiya has gotten the shape of the straight rear wall of the wheel well correct. 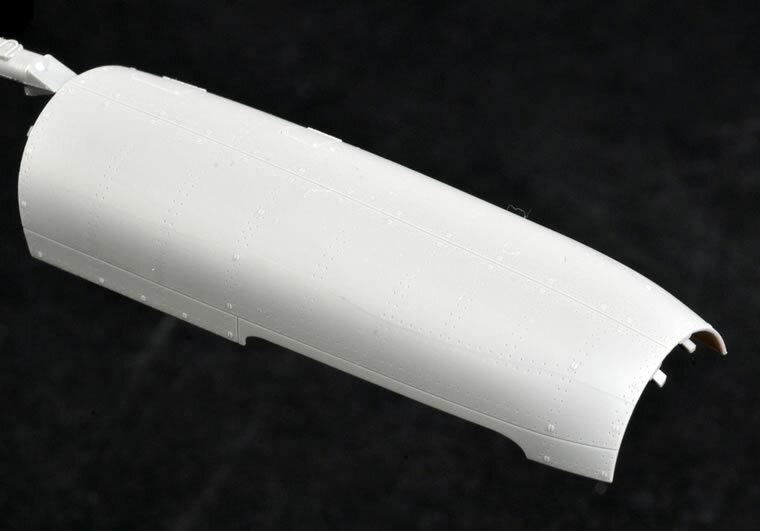 There are a number of visible ejector pin marks in the wheel well, but these are an inevitable by-product of the tricky injection moulding around the deep detail in this area. 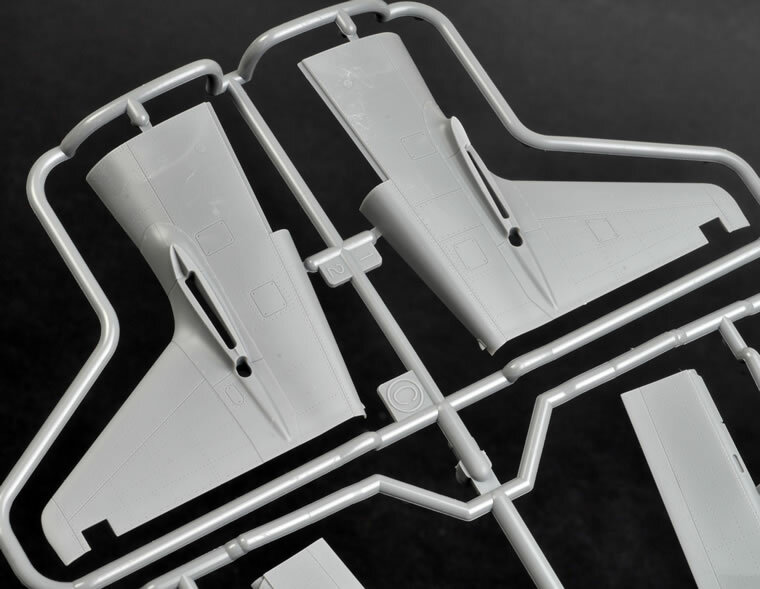 The landing gear and doors are all well detailed and cleverly designed to be posed either raised or lowered. 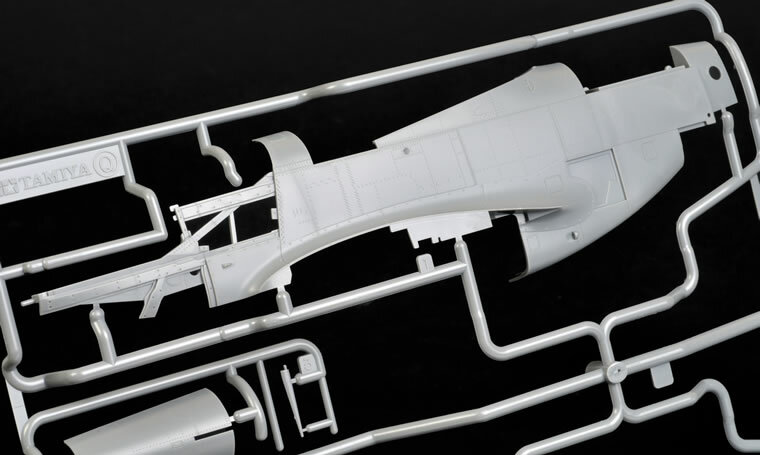 The alternate parts may be interchanged after the model is finished, so your tarmac-bound Mustang might find itself in flight on the supplied display stand at some point in the future. 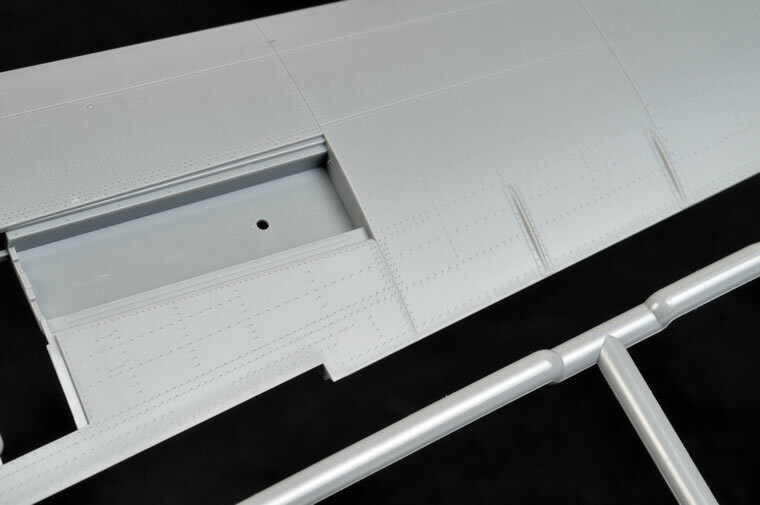 The landing gear legs are screwed in place behind inserts in the leading edge of the wings. 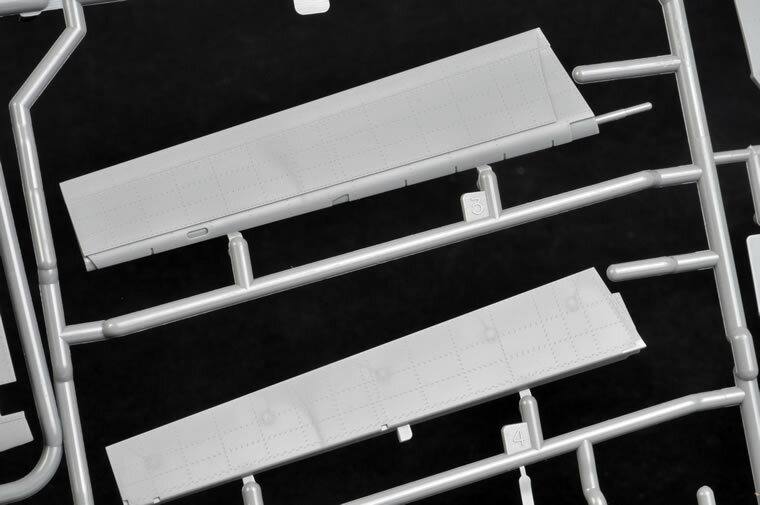 75 gallon metal and 108 gallon paper drop tanks are supplied for the two wing racks. The sole set of propeller blades is Hamilton Standard Cuffed. 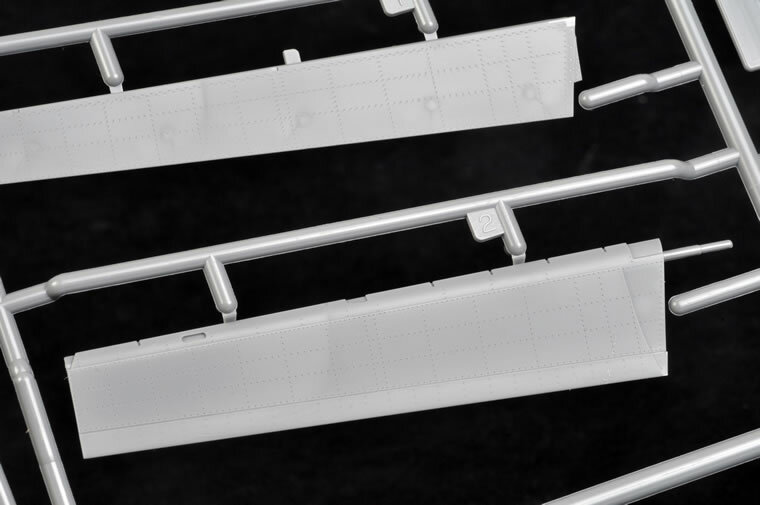 Three different styles of sliding canopy are included, as are four styles of rear vision mirror. 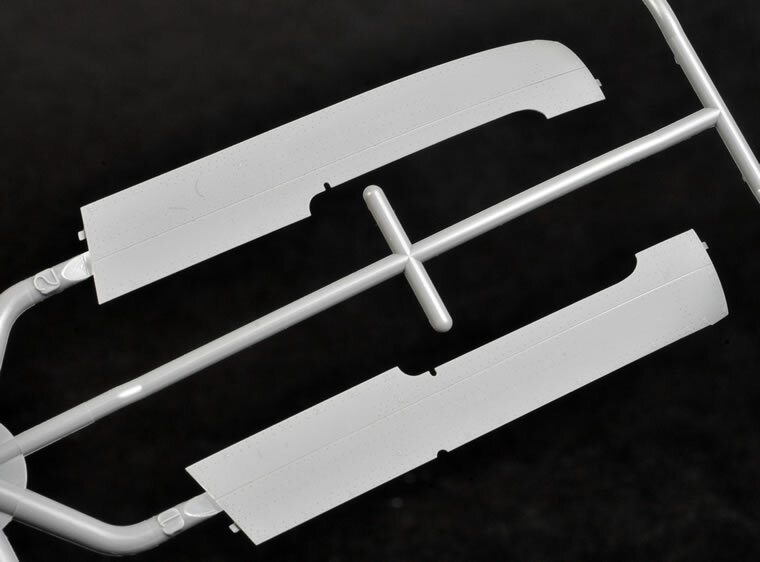 Self-adhesive canopy masks are a thoughtful addition, but you will have to cut them out yourself – no great chore for such a simple canopy and windscreen. 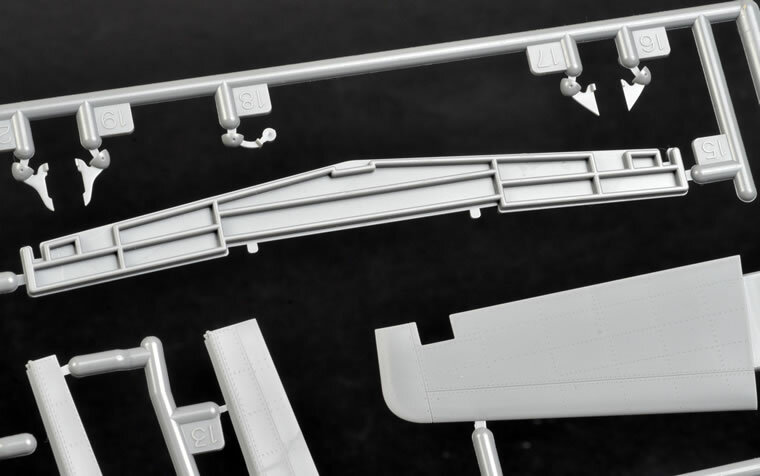 A black display stand and two metallic nameplates will help put your Mustang in flight. 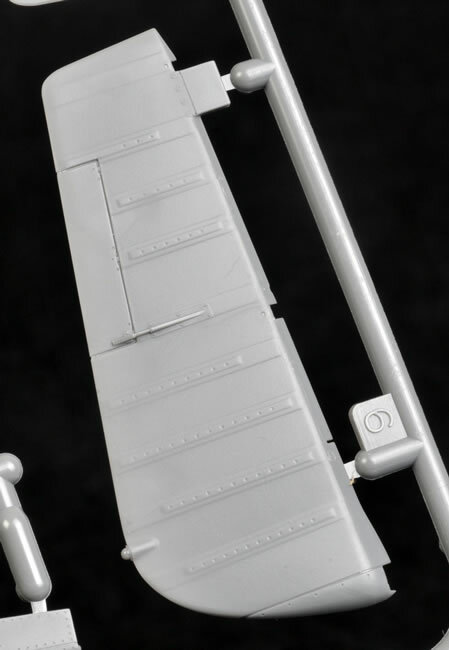 The stand is attached to the model by a removable panel on the bottom of the fuselage. The stand may then be screwed into place. Two pilot figures round out the package – one standing and the second seated in full flight gear. I like the clear goggles provided for the seated pilot! 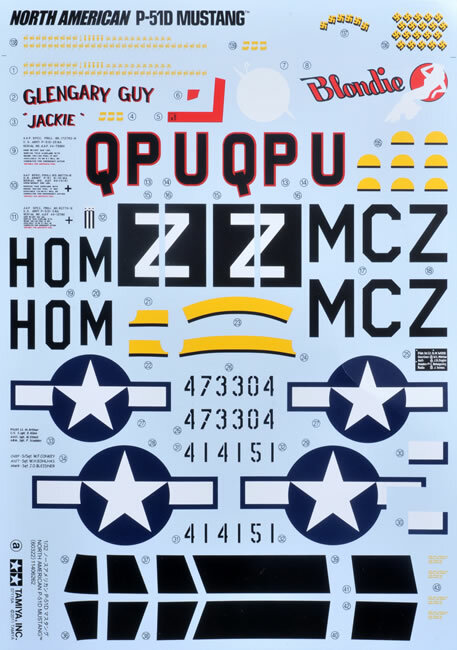 Markings are supplied for three aircraft plus extensive stencilling. Decals are all in register on my sample. The big T has done it again. 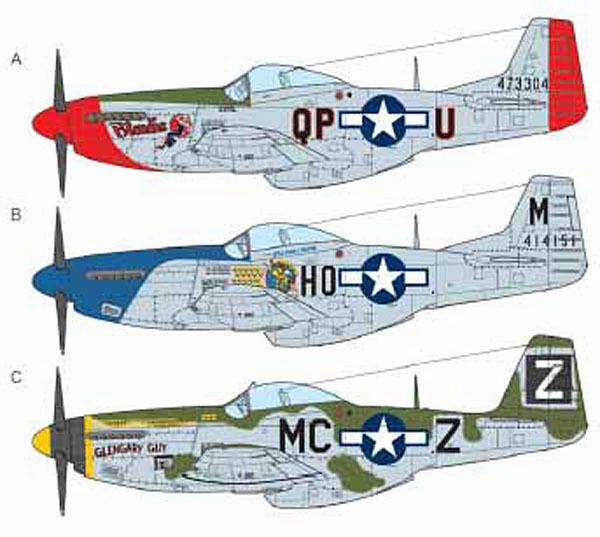 With their 1/32 scale P-51D, Tamiya has delivered the best Mustang kit of any variant and in any scale. 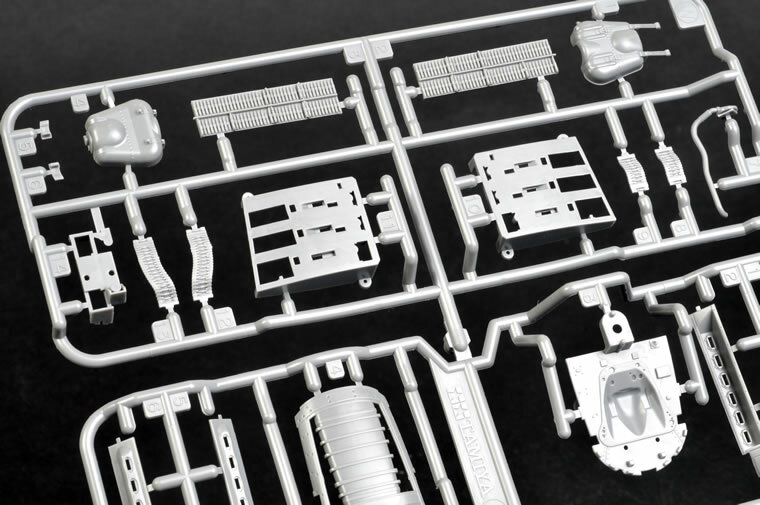 Clearly not satisfied to rest on their laurels after the superb 1/32 scale Spitfire family, Tamiya’s designers have taken a fresh look at some details and engineering aspects. 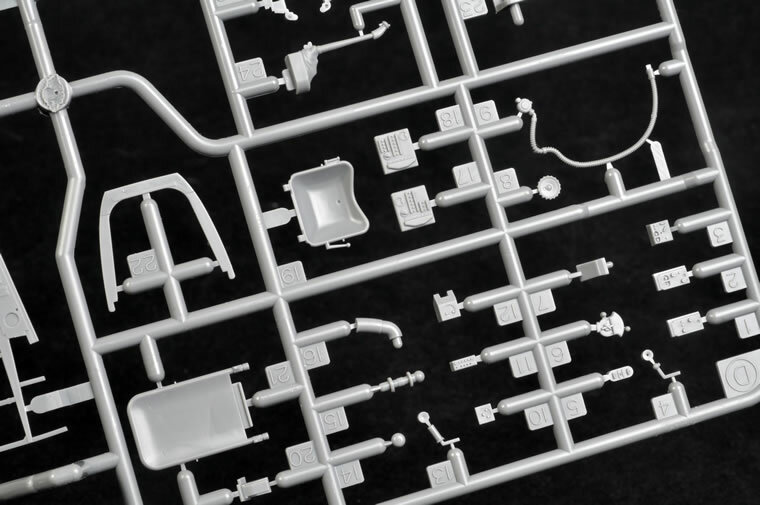 Examples include the oxygen hose in the cockpit, the revised sprue attachments for the exhaust stacks and the new approach to the engine bearers. These are incremental improvements, but when the bar has previously been set so high it is impressive to find that it can be raised further still. 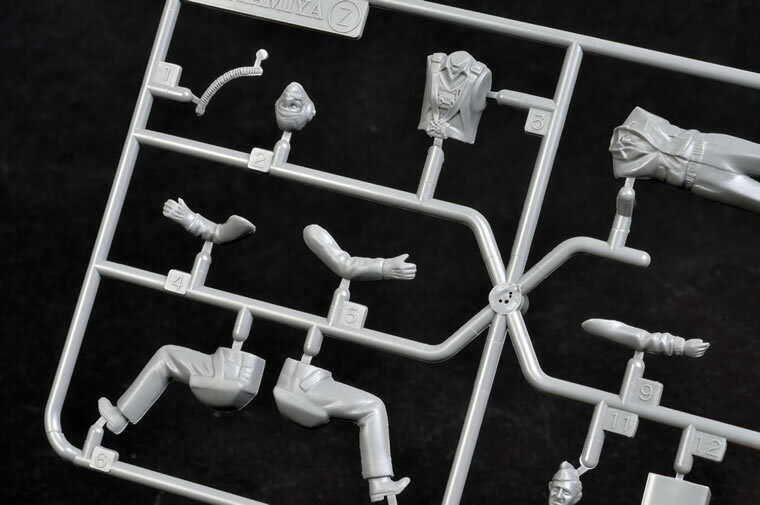 Somebody at Tamiya is really paying attention. 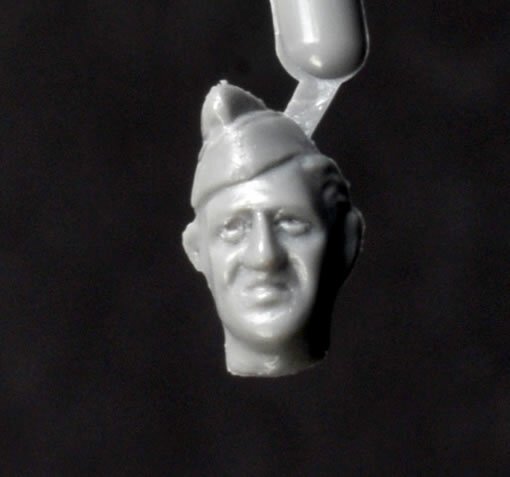 This same attention to detail has been applied to accuracy. 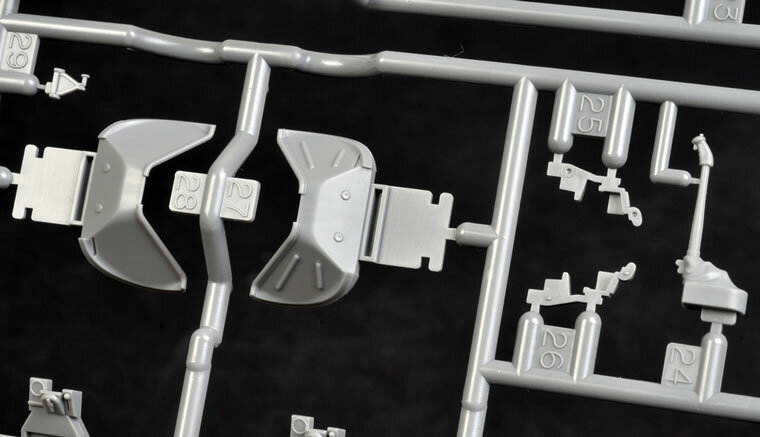 As far as I am aware, this is the first time that any model company has gotten the shape of the main wheel well correct with its straight rear wall. 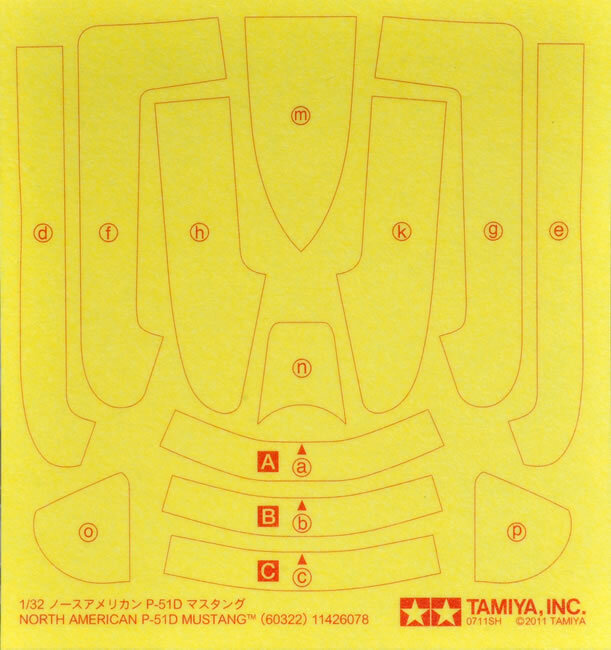 The cockpit is also immensely better detailed and more accurate than any plastic Mustang front office that has gone before it. 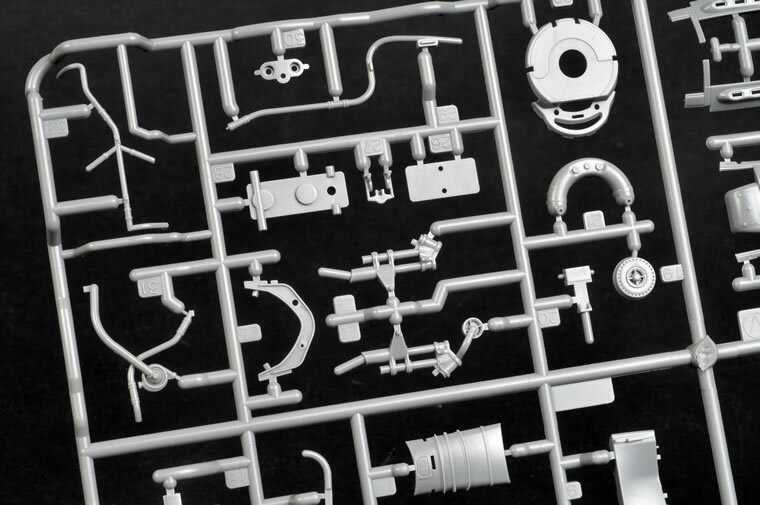 The large number of optional parts demonstrates that Tamiya was determined not to take any short cuts too. This is an outstanding model. 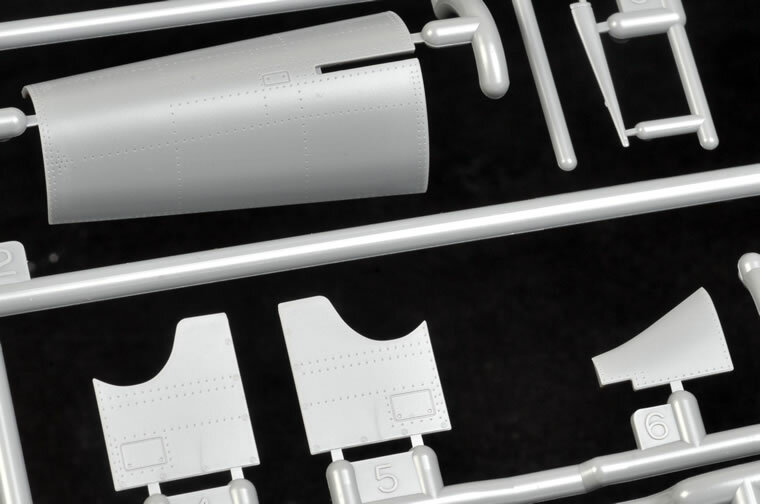 If you have the slightest interest in the P-51 Mustang, Tamiya’s new 1/32 scale kit will be an essential ornament for your modelling bench. Do yourself a favour and build one soon. I know that I will be! Thanks to Tamiya Japan for the sample.